Chen-style Taiji Quan is expressed gracefully and generously, its movements are agile and stable, not only develop a school of its own with touching, sticking, linking and following, but also until now, it kept leaping, jumping, springing, dodging, spreading, soaring, moving etc in connotation for inside, shown out for outside, and has the spire and twining force in practicing. Although Taijiquan was divided into big frame and small frame or routine?񡮤 routine ?򬠩ts theory is exclusive. 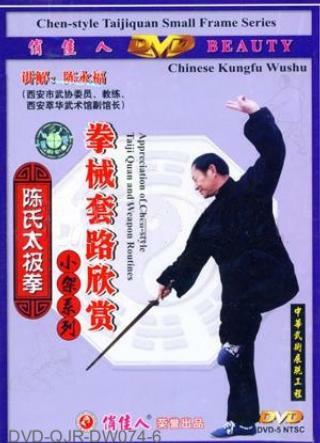 The program collects the every routines of Chen-style Taijiquan Small Frame, those are demonstrated naturally and clearly so that the learners can easily follow.